Depending on which web-site you visit, we expect to get anywhere from 6 to 15 inches of snow between this afternoon and Sunday morning (about a foot in New York City, and a whopping 1 to 2 feet on Long Island). Knowing that a long run tomorrow maybe whited-out, we put together a nice group for today's long run at Rockies, including Peter H., Peter L., Aaron, and Herb. Aaron and Herb are the speedsters. Herb is fresh off a 3:14:54 New York City Marathon performance, and Aaron is gunning for sub-3:10 in January's Walt Disney World Marathon. We hit lots of nice hills, and even ran into a few pigs along the way. Some pictures and a video follow. Just click the "read more" link below to check them out (time to test the jump-break feature in blogger). One last note. The trooper that she is, Ginette put in 18 miles despite the foot injury. I suppose there is no stopping this girl. MRI on Tuesday will end the suspense. Why go out before the storm when you can go out during it? We've got a couple inches here in Central Jersey, but I'm waiting for the snow fall rate to pick up before I make tracks. Good thing I brought two pairs of GORE-TEX shoes home with me on a whim! Good point Bryon...maybe I'll just have to head back out for some more! Can't wait to hear all about the GORE-TEX shoes on iRunFar.com. 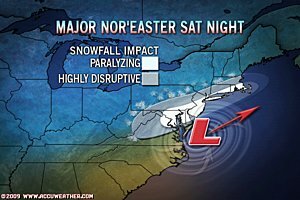 I'm with Bryon....next big snow after the foot has healed we are going out there during not before. Love the pictures and would like to see more but I don't see the read more link?? ?